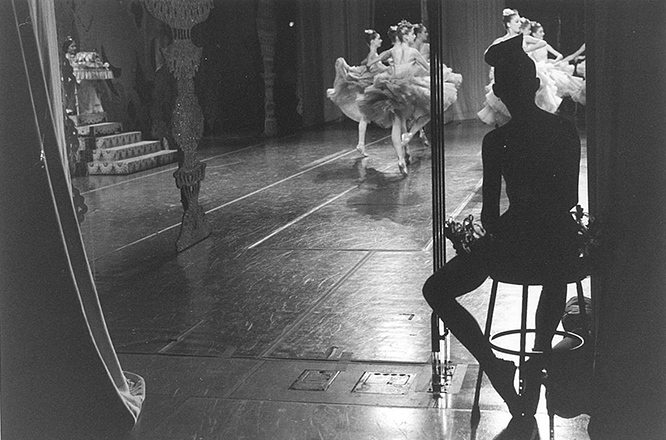 Former New York City Ballet dancer Amanda Edge watches the magic of George Balanchine’s The Nutcracker® unfold. In a dark drawing room, a tiny young girl wearing a white nightgown crouches in wonderment at the foot of an enormous Christmas tree. Looming above her, its boughs shimmer with hundreds of candles. She gazes up at the brilliant sight, tenderly sheltering her beloved Nutcracker. I was seven years old when I first saw this hauntingly beautiful photograph of George Balanchine’s The Nutcracker® in Jill Krementz’s book “A Very Young Dancer.” What an indelible impression it made on me! Little did I know that I would one day dance The Nutcracker on that very stage — for 15 years — and not one performance went by that I didn’t stand in the wings to watch the tree grow. It was absolute magic. I went on to play a doll in the party scene, and Chinese and Marzipan in Act 2. We filmed the snow scene (in August) for a Warner Brother’s movie of the ballet on my 18th birthday. One December there was a musicians’ strike, during which we performed to recorded music. I missed the nuanced richness of the live orchestra swelling up from the pit, but the tempos were certainly consistent! 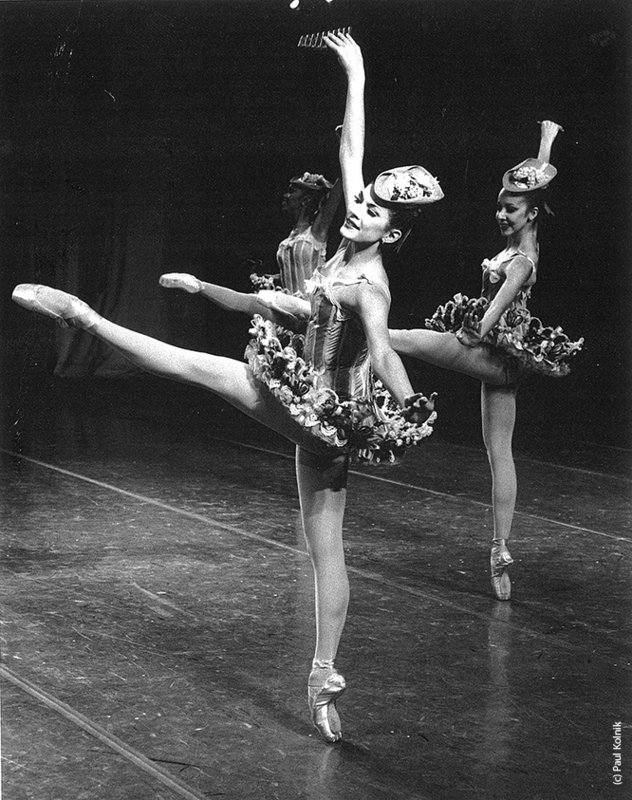 My last several years at NYCB I performed only one part, but it suited me, and I danced it a lot! Lead Marzipan: a divertissement with precise footwork, hops on pointe, quirky jumps, and several unforgiving pirouettes. I danced it so frequently that during intermission one day, a stagehand stopped to ask when I was going to write my book. “What book?” I asked. “My Life as a Marzipan,” he deadpanned. Often, professional dancers like to complain about Nutcracker. In fact, it was always very special to me. It’s hard to imagine the holidays without Nutcracker. If you’re going to hear the same music over and over, you can do a lot worse than Tchaikovsky’s bewitching score! But, best of all are the children. Young party scene guests. The mischievous Fritz. Little mice and soldiers, accompanied by an unexpectedly brave bunny. Angels who float along the surface of the stage beside the Sugarplum Fairy. Sweet, rosy-cheeked Polichinelles prancing out of Mother Ginger’s massive skirt. My last Nutcracker with the company was 11 Christmases ago, and it has been 62 years since Balanchine’s production first premiered in New York City. Today, it’s thrilling to work with the Central Pennsylvania Youth Ballet dancers as they bring this beloved ballet to life. These students inhabit a world of twirling snowflakes and gravity-defying candy canes with mature technique and artistry coupled with a childlike levity of heart. And, of course, there’s that enchanted Christmas tree! 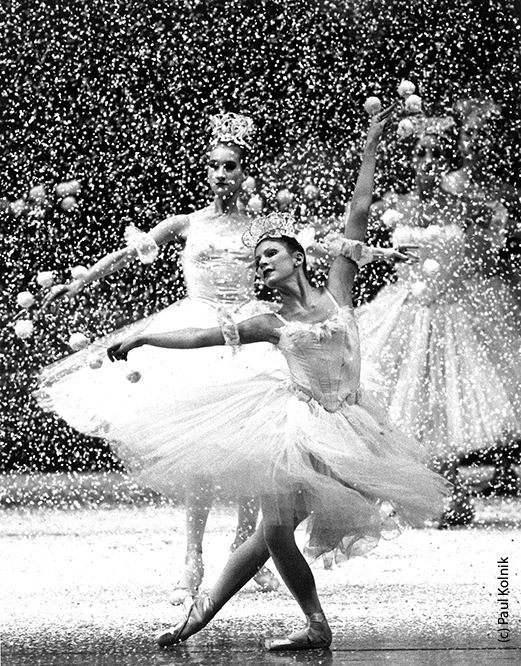 This is George Balanchine’s The Nutcracker®. It will always be absolute magic. Writer’s Note: Many thanks to my good friend and fellow former New York City Ballet dancer Deanna McBrearty, also a Central Pennsylvania Youth Ballet alumna, for catching that special backstage memory! 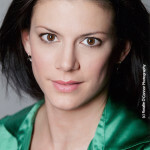 Amanda Edge is on the faculty at Central Pennsylvania Youth Ballet. During her professional dancing career – at New York City Ballet and on Broadway – she attended Fordham University, where she discovered a fondness for writing.